Feast your eyes with an aerial view of the river and your tongue with traditional Chinese cuisine high up in Silver Waves. 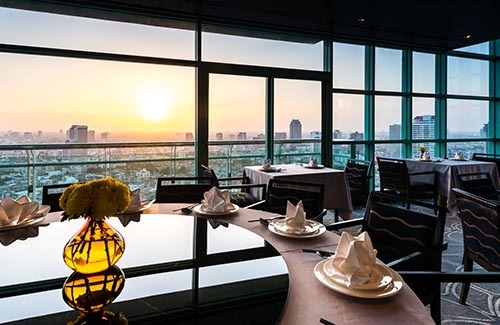 Perched on the 36th floor, Silver Waves offers a bird’s eye view of the curving Chao Phraya. The restaurant is decorated with a river theme and meals come with authentic live entertainment. 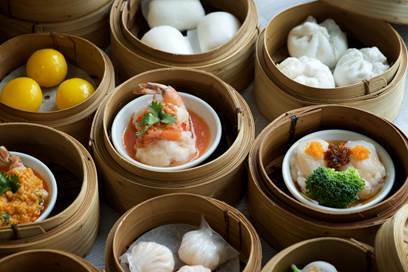 Eat sumptuous individual Chinese dishes or homemade dim sum delicacies. The chef’s modern take on traditional dishes results in unique dishes such as the signature tea-infused Peking duck.